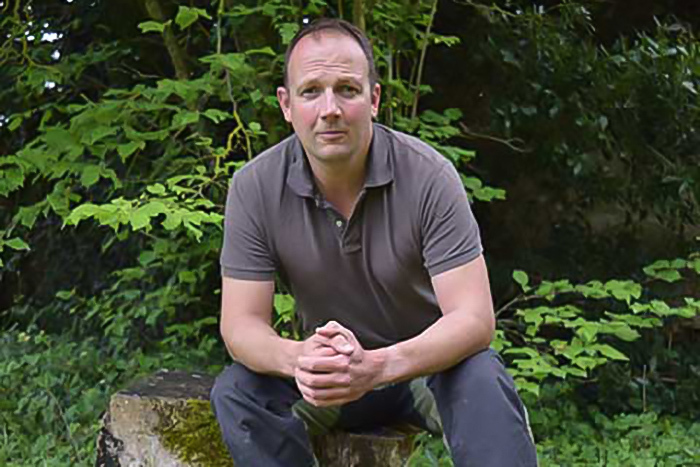 Rupert Brown of Brown’s Bushcraft and the Brown Filter Bag. Rupert talking about the Brown Filter Bag. Photo: Martin Tomlinson. A worn-in Brown Bag. Photo: Martin Tomlinson. The lake where the Island is situated has been designated toxic with cyanobacteria (Blue-Green Algae). All warning signs at the waterfronts say that even boiling will not remove the toxins and to avoid contact with the water. On my return home, I Web searched this cyanobacteria and they all say that chemicals and algaecides can exacerbate the toxin, making them worse. Even chlorine will make it deadly to consume. So, what would you recommend in this case? Chemicals will not work, and we are advised to not bathe in the water, hence, it is necessary to wash with clean water after having contacted this lake water. So, it’s a conundrum, isn’t it. If you have no clean water, then avoid the dirty water, so how can you get clean water? Perhaps ‘gypsy wells’ dug near the shorelines at a ‘safe distance’? where we could then filter and boil that water? A safe distance being anywhere close to shore where the algae will not attain by wave action? I am thinking of a scenario of being in an isolated area, with no clean water available for a few days. As always, I read your comments with interest. Thanks for your continued contribution to this site. Filtration will remove larger particulate matter as you know and I would recommend the use of a filter bag as the starting point. In my experience, this removes a good amount of any visually apparent “bloom”. Microfiltraton will remove bacteria and any intracellular toxins. Chlorine appears to be effective in neutralising extracellular toxins as long as the pH is below 8. We also know that Chlorine works better on water without much organic matter floating around in it. So always microfilter first in these situations. Hence, one of our standard methods of water purification for the field still works in the situation you are referring to – coarse filtration followed by microfiltration followed by chlorination. In terms of limited equipment, then yes a gypsy well to access the water not contaminated by cyanotoxins would be a prudent method. Then use coarse filtration to remove particulate material followed by boiling, as per usual. now to add litmus paper to my repertoire of gadgets. 🙂 So, what could bring the pH below 8, naturally? That means acid is better then? How would steeping in willow bark or other tannin barks help I wonder? Great podcast Paul. Have always carried a millbank bag since attending your elementary course in 2012, & used it numerous times. Have put a brown bag on my shopping list. Would be interested in it’s performance in colder / subzero climates, as other filters don’t work if they have been frozen? Such a great podcast and so new to me! Glad I stumbled across your website Paul! I tried to order a brown bag from Frontier Bushcraft store but they apparently don’t ship to the United States. Any suggestions? Lack of customs harmonisation and our warehouse being owned by an American company mean we can’t ship from our warehouse to the USA without it causing “issues”. They simply won’t dispatch it. Strictly speaking if we want to supply goods by mail order to US domestic market, we need to have stock in the USA and distribute from a US warehouse. To do this we need a company registered in the US. Build your own Millbank bag. Details on construction can be found on BushcraftUSA. I know, I posted them. The copper-ammonia process used for Millbank bags is crucial to the effectiveness of the bag. Plain double-weave canvas provides the raw strength, but not the minute filtering capacity one wants. The Cu-NH4 process makes teeny pores that increase the effectiveness of the bag. Yes, you can do this at home. You are trying to reduce the quantity of big chunks. Big chunks allow nasties to hide from your chlorine. Think about it. Nasty bacteria are way smaller than anything you can see. Nasty bacteria are safe from your chlorine when they hide in very tiny chunks of carbonaceous chewie. Rid your raw water of ever-tinier chunks of chewie and your chlorine will be ever so much more effective. A sack made of old blue jeans leg will filter out twigs. A commercial filter will handle it all. “We don’t need no education, we don’t need no thought control. ” Sorry. We bushcrafters would rather build our own kit, thankyouverymuch. Millbank bags were developed under conditions we first worlders won’t experience. They were tuned by people way smarter than you. Do it their way. Some of us actually leave the first world from time to time. The Millbank and Brown bags are virtually bomb proof. I had my Millbank for many years and it never let me down, the Brown appears to be just as robust (just not put it through the years of hard use the Millbank got, yet). Making one would be an interesting experience that I may well try out but if I’m going to do more than a few days I want to know the kit will survive and keep me healthy. 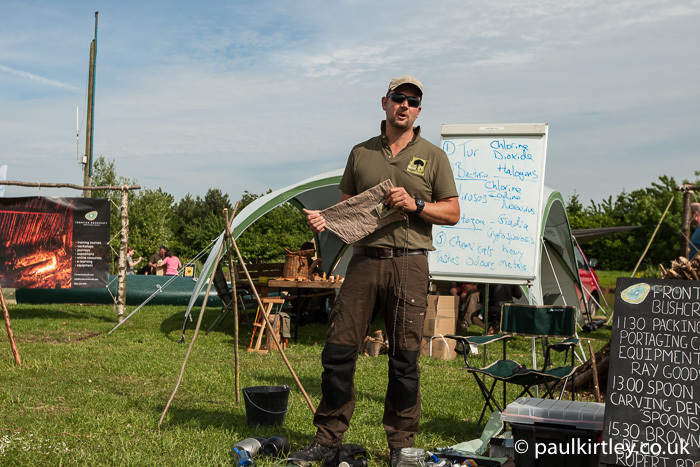 It was great to meet Rupert at the ‘Bushcraft show’, a very knowledgeable and personable gentleman. I first us a millbank bag back in the 70s and, until losing in a move, have always used it for course filtration. Two to three years ago I came across the Brown bag, after failing to find a replacement for my millbank, and have been very happy with it since. It lives in a pouch with a water bottle, mug, and small stove so I always have a way to purify water for the all-important cup of tea! Robin, I have a similar set up with a waterbottle pouch that contains mug, bottle, spoon, Brown bag, iodine or chlorine dioxide tabs and some coffe sachets and tea bags. Always important to have water (and a brew!). Hi there, a brilliant 1 hour, 46 minutes and 56 seconds! If there’s anything I wanted to know about the brown bag it’s all there. Very informative and descriptive about it’s history, creation and production, what’s it’s used for and how it can be integrated into everyday survival techniques; namely water filtration. Great interview thanks! Thanks for your comments. I appreciate you taking the time to let me know your thoughts. I’m glad you found this podcast so informative. Firstly I would like to thank Paul for taking the time to compose the podcasts .Secondly thanks to all the people that have and continue to listen along with the kind comments. I would like to clarify and correct some of the points made in a previous comment. Cuprammonium was never added to the Millbank bags to increase the effectiveness of the filtering. Cuprammonium is a complex ion formed in solution when ammonia is added to copper salts. It is a biocide used in wood treatments, paints and fabrics to inhibit algae growth. It was added at a rate of 1.0-1.5% of finished fabric to the Millbank bags as a rot proofing agent. It was removed towards the end of Millbank bag production due to it being potentially harmful. I do commend anyone building their own kit. 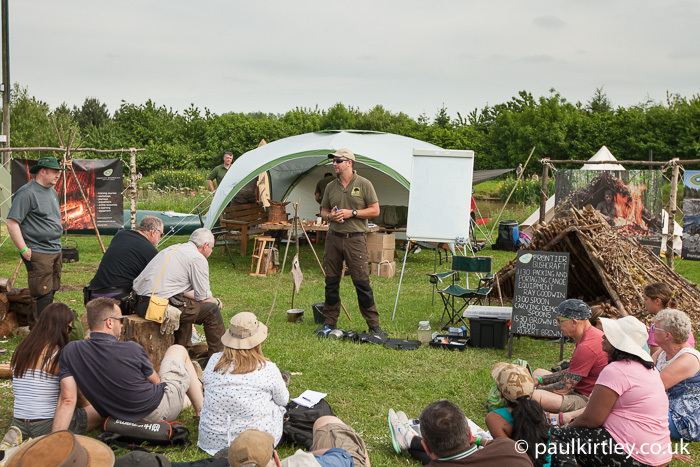 Bushcraft is about using knowledge and resources to achieve a goal, rather than reliance on equipment. Using a Brown bag or Millbank bag installs that knowledge. It enables people to understand the importance of using a course water filter to remove turbidity/cloudiness prior to disinfection. This could be achieved with a filter bag or by using a piece of cloth or clothing. Millbank bags were developed for use by the military to produce safe water for troops across the globe. They would experience the same conditions and potential contaminants as civilians. The exception being soldiers are more likely to be areas were the water is contaminated with poisons or radiation. Specialised equipment is used in these environments, not Millbank bags. Lastly, it was an interesting comment that they are tuned by people way smarter than you, I guess that implies myself and Paul. 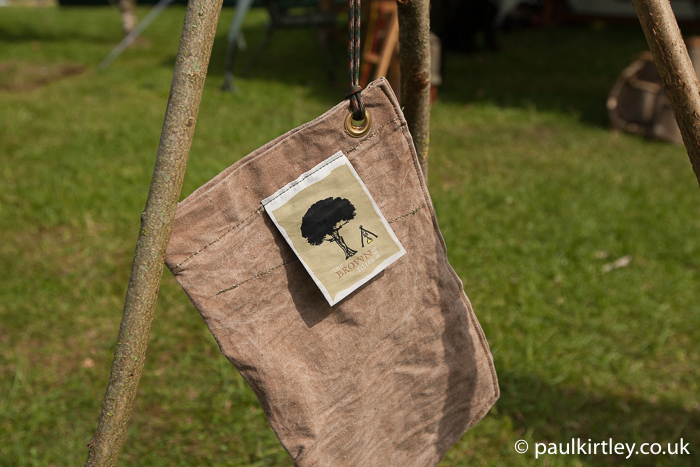 The Brown bag is not an armchair, garden shed developed product. It took a number of years for me to develop. During the development and to the present day I work with the original manufacturers of the Millbank bag canvas, they now manufacturer the canvas for the Brown bags. I have access to all the exact specifications and treatments used. Other people other than myself that have helped in the Brown bag development include the D.L.O Defence logistics organisation, The London School of Tropical medicine and hygiene, Chief medical officer for the ministry of defence, chemical companies and some of the best known bushcraft instructors and schools. So by all accounts a fairly smart team! Hopefully that clarifies for peoples information the original use of cuprammonium in the old military Millbank bags. Keep enjoying the outdoors everyone. Warm regards Rupert Brown. Maybe a bit of an old topic (so no idea if I’ll get an answer or not), but what can you against pesticides and fertilisers? We don’t always practice bushcraft in the wilderness. Most of our trips take place in small wooded patches between agricultural land. Filtering out debris, pathogens and micro organisms is pretty straightforward, but is there anything one can do to filter out chemicals and synthetics? Thanks for your interest in this podcast and the contents with regards to water purification. You make a good point about applying bushcraft skills proximal to other human activity, such as agriculture. There are a number of filter units available, containing activated carbon. The activated carbon will reduce the load of chemical pollutants in the water. I hope this helps but please feel free to ask more questions.